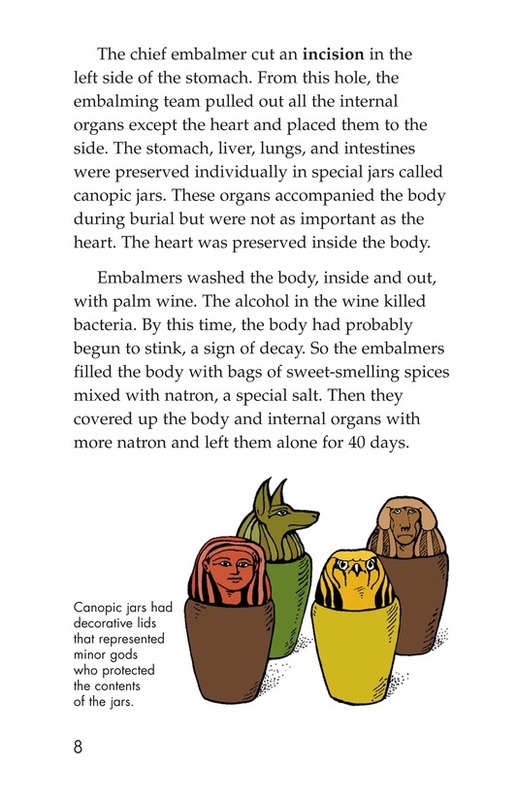 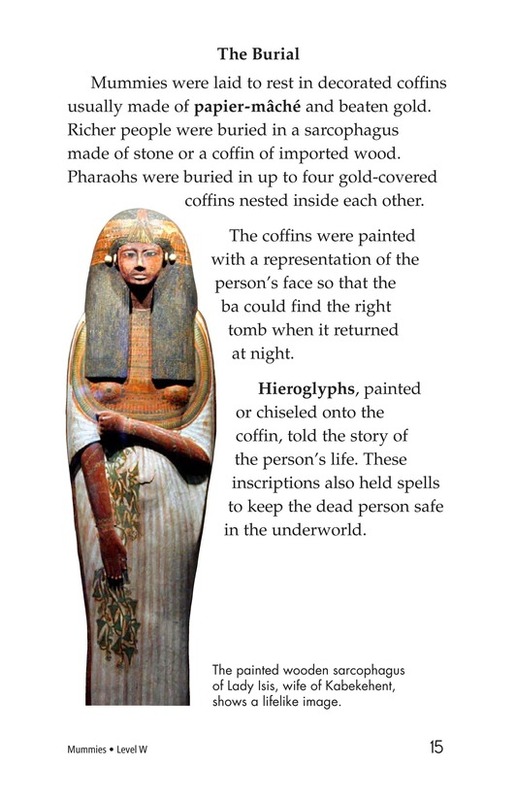 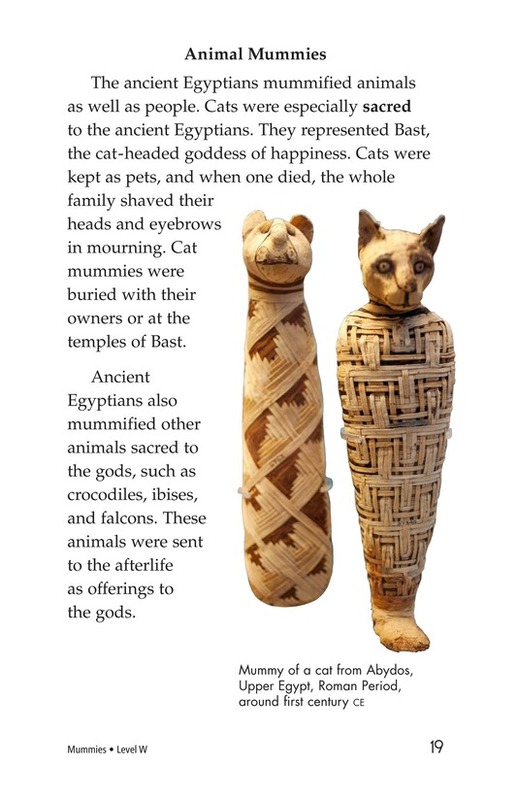 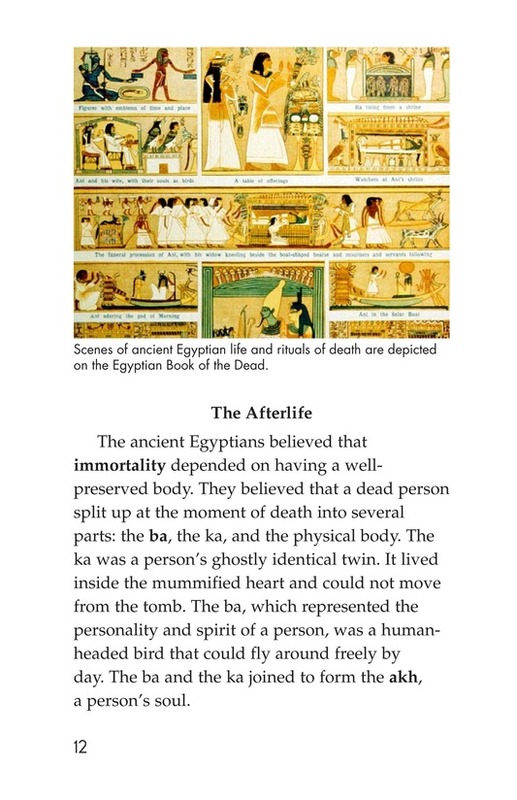 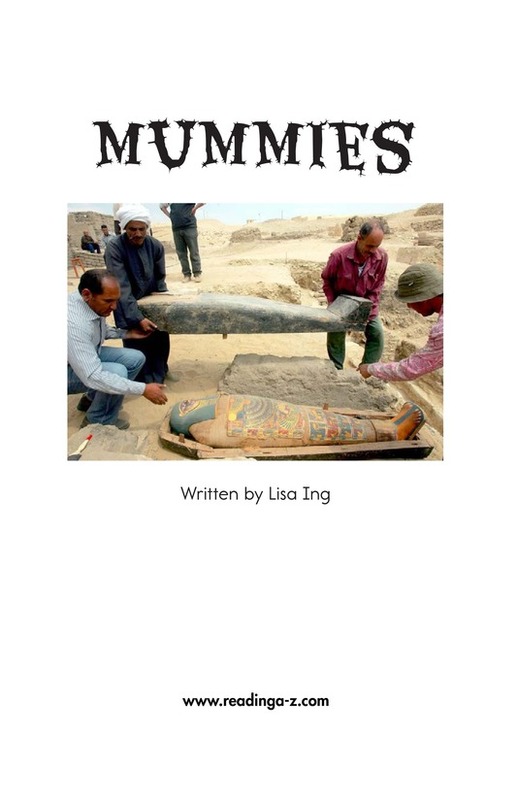 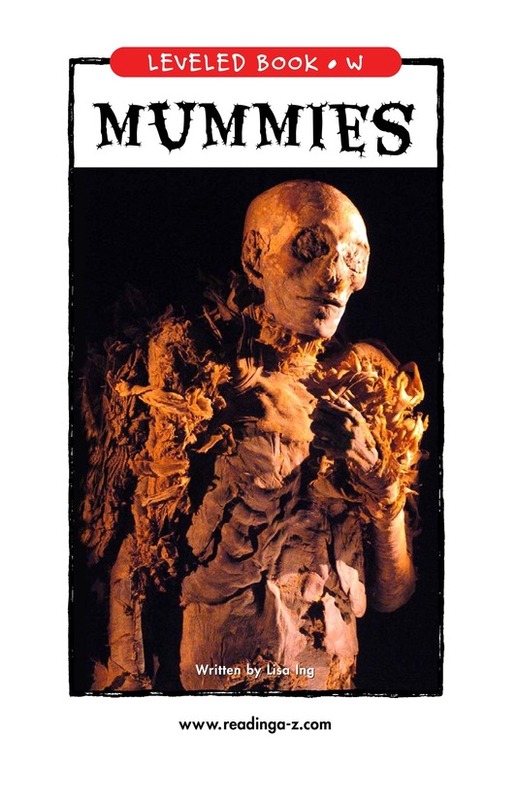 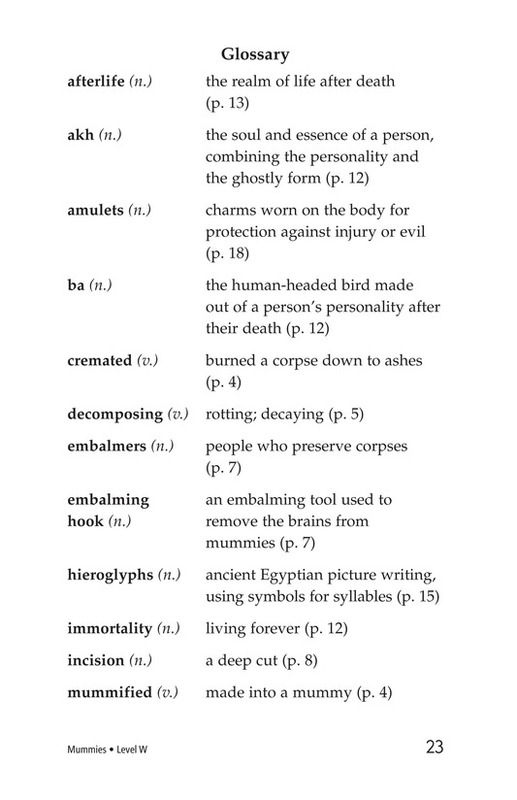 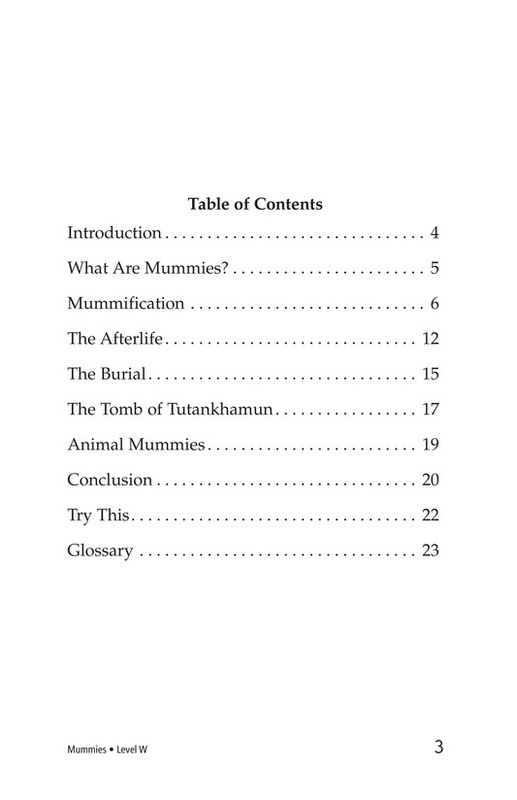 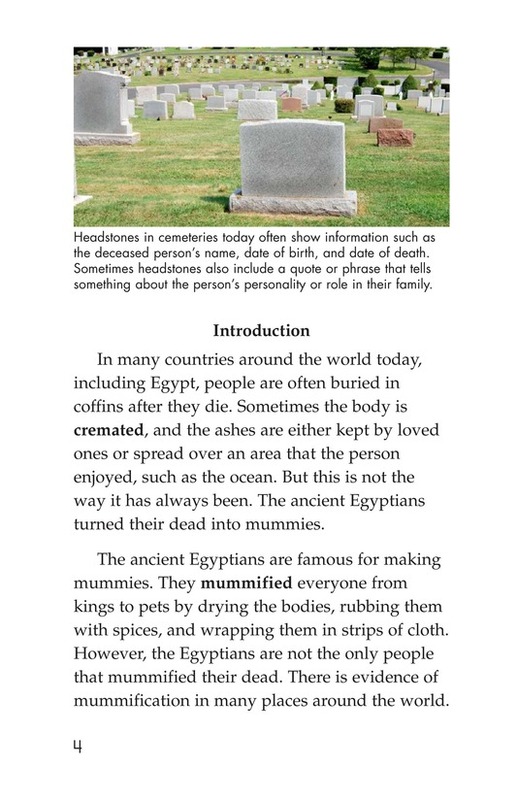 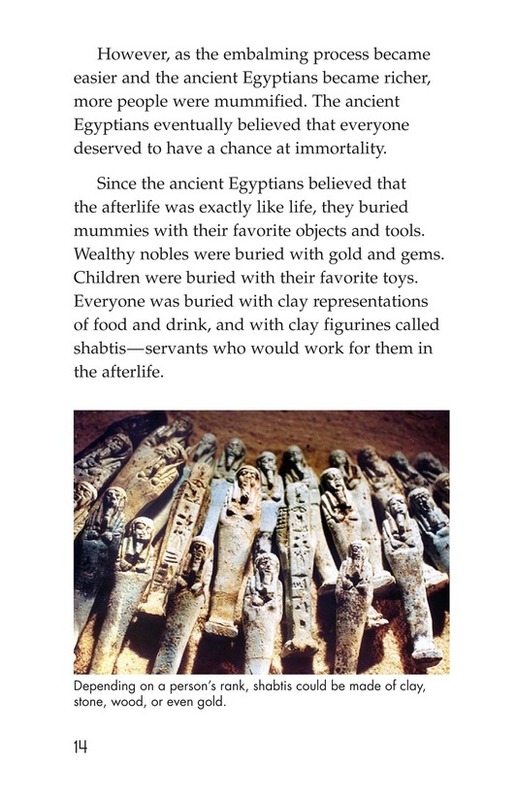 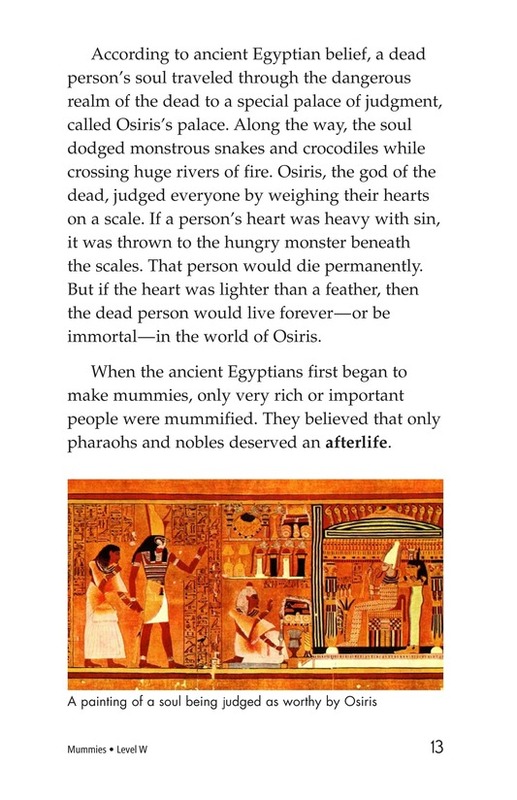 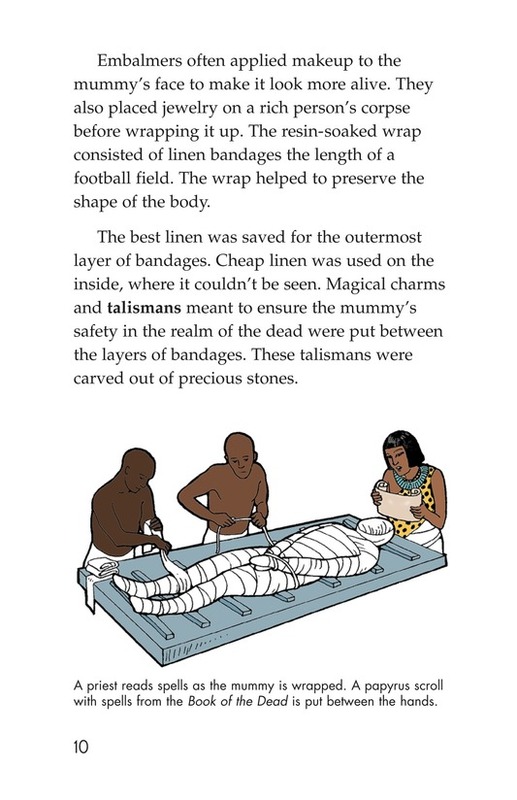 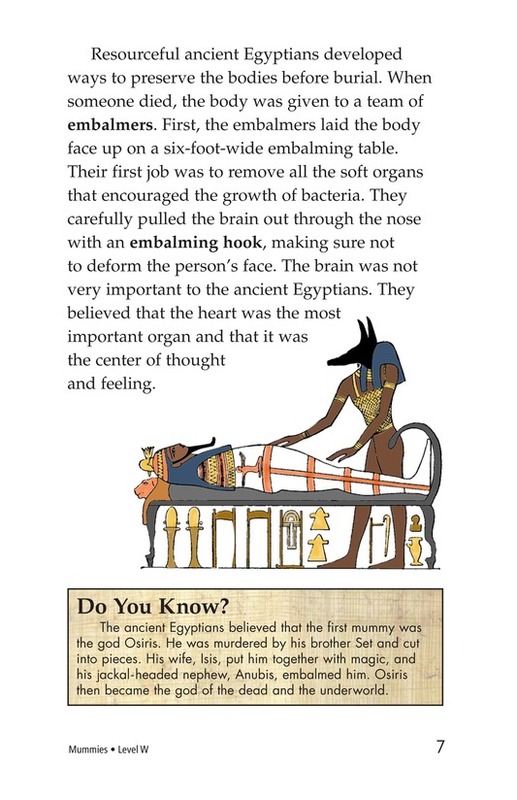 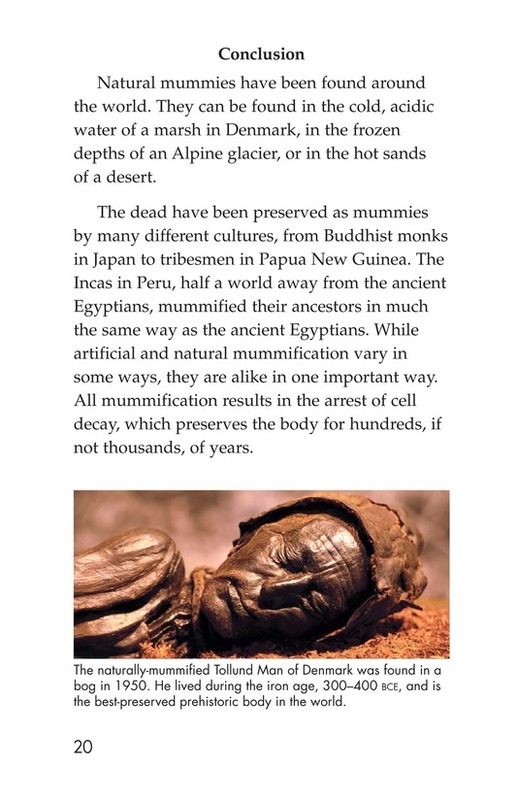 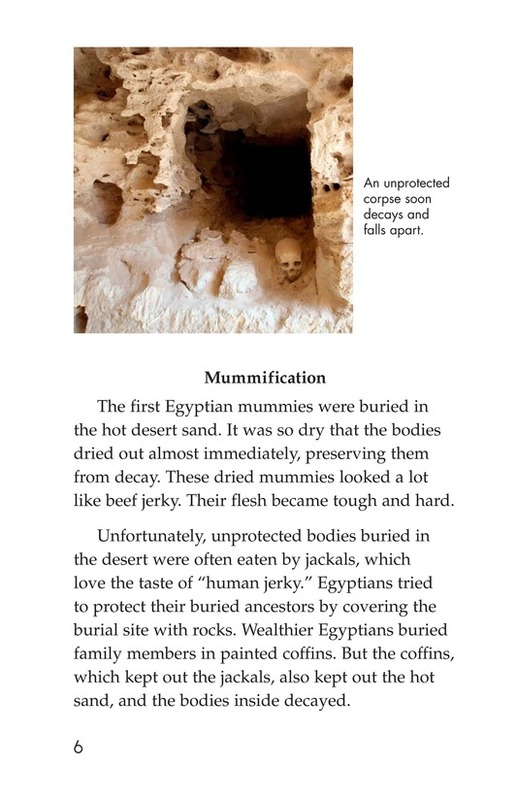 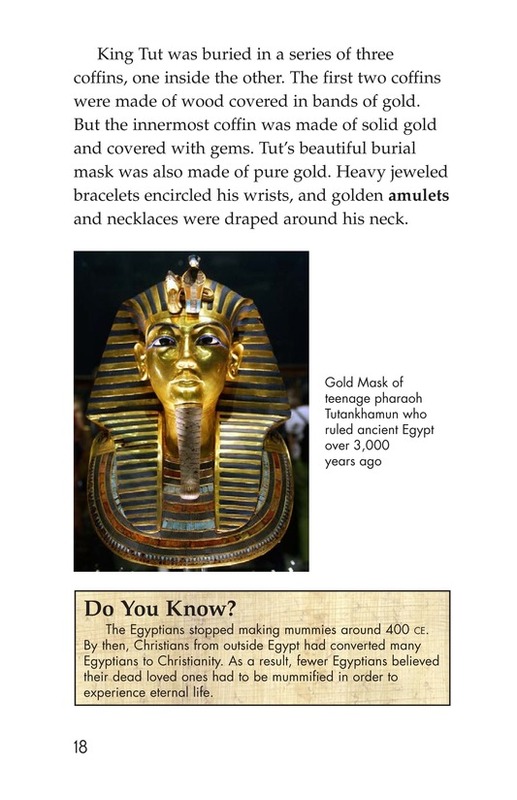 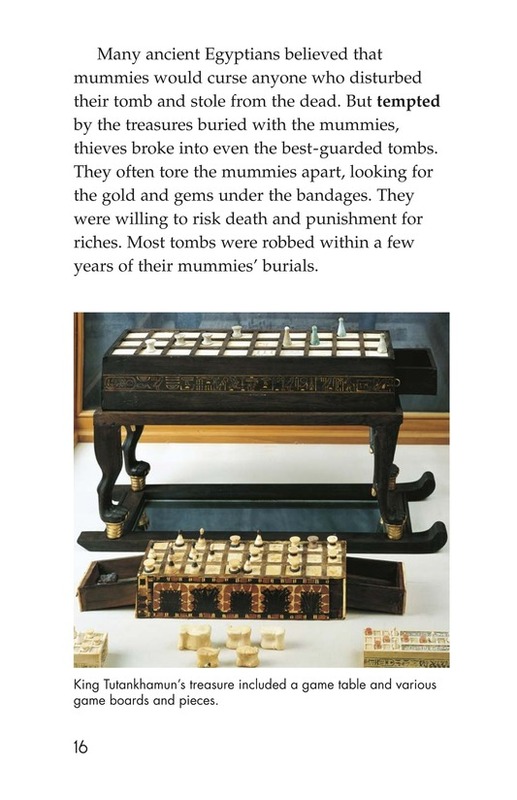 Mummies tells the history of ancient Egyptian mummification and the importance of human and animal mummies in the spirit world. 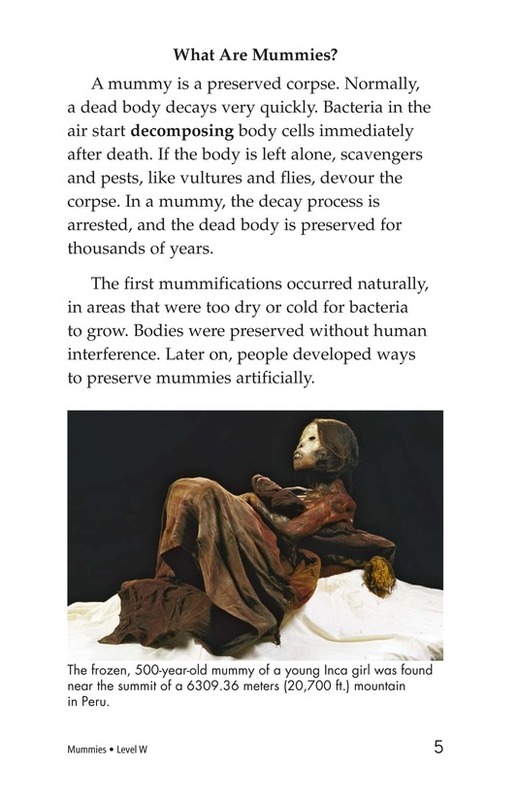 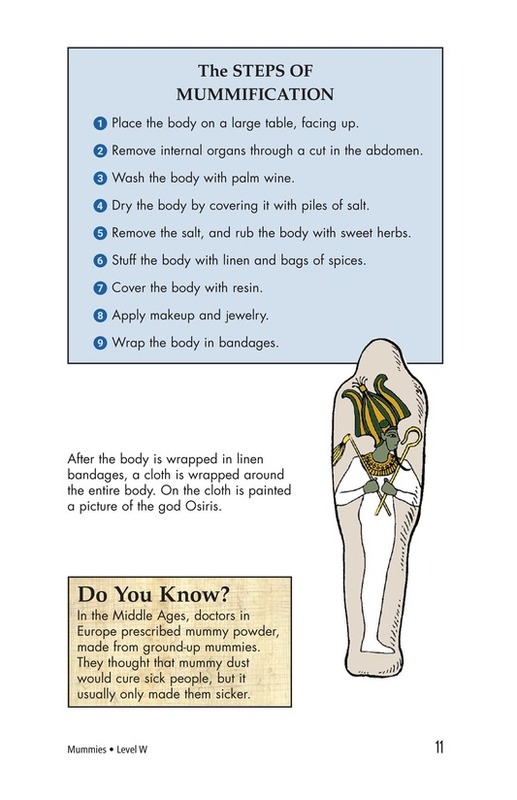 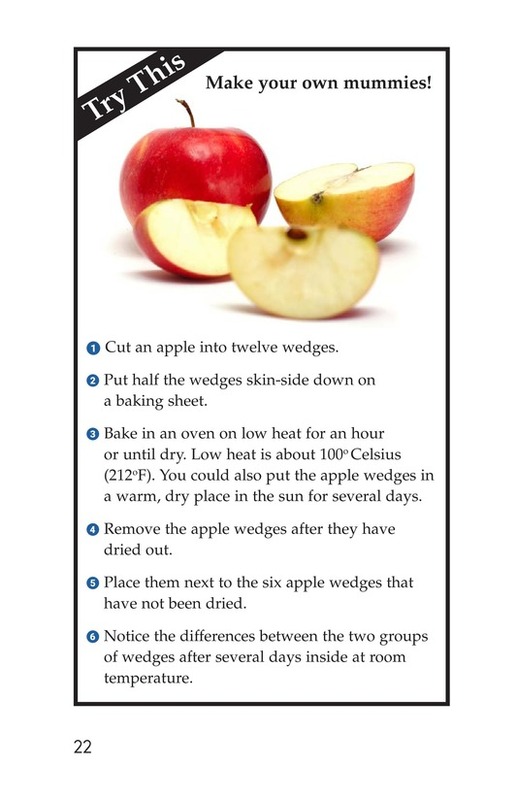 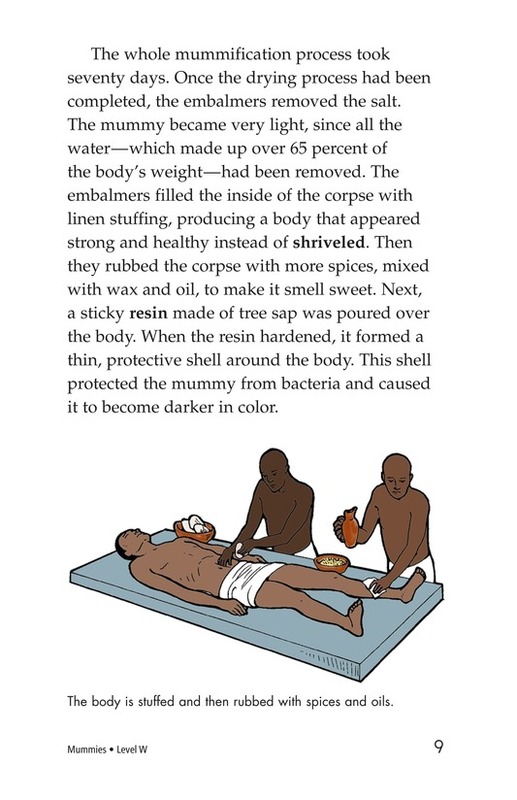 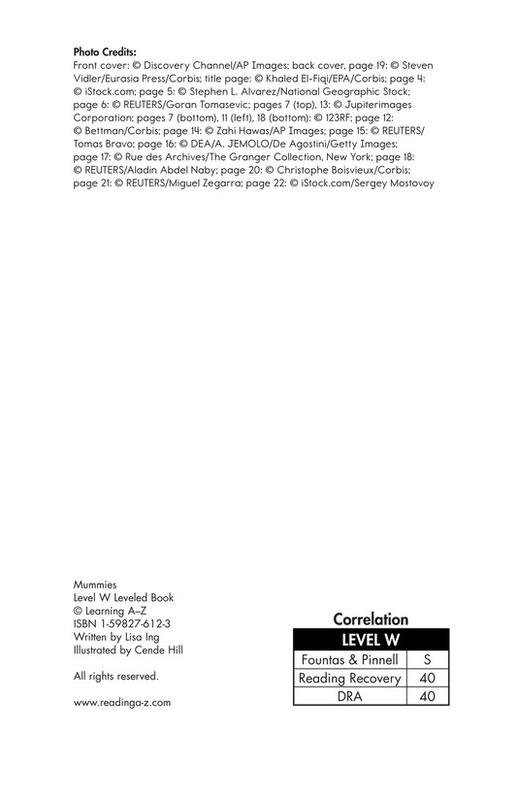 Readers learn the detailed steps used to preserve bodies. 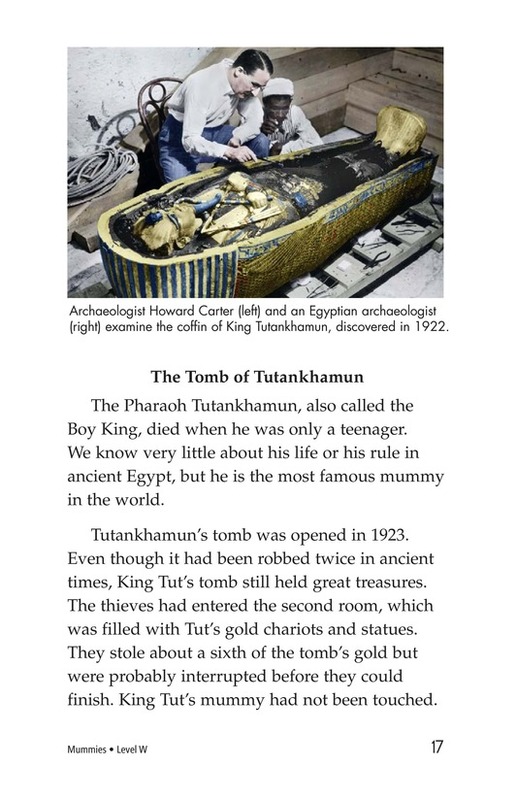 King Tutankhamen's tomb, one of the most elaborate ever discovered, is also discussed. 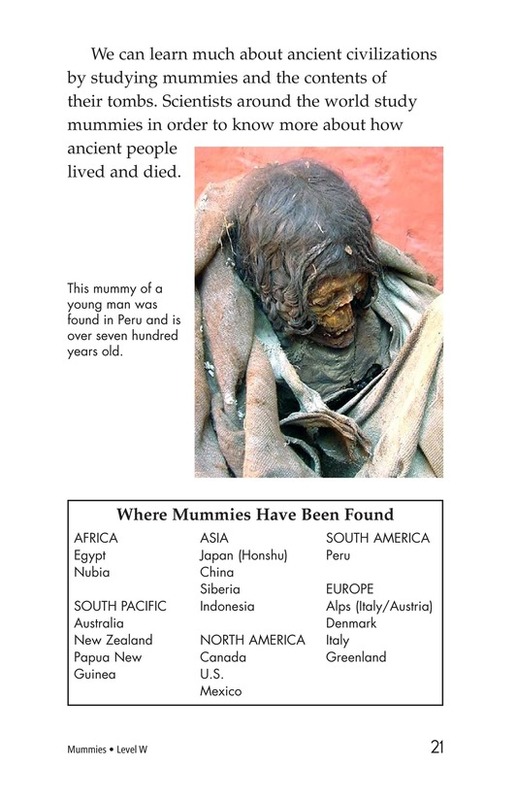 Photographs add to this fascinating topic.